Allan & Kathryn Pollock have owned & operated Belmont Pharmacy since 1989. Click here to go straight to our Featured Products page. NZ Online Pharmacy is an Internet division of Belmont Pharmacy Limited. We do not promote Prescription Medicines on this web site so you can assume that we do not require a prescription for anything you see here. And don't forget the FREE SHIPPING wherever your location! Belmont Pharmacy has been owned and operated by pharmacist Allan and ex-Pharmacist Kathryn Pollock since 1989, and have since become an institution in the area servicing the health needs of the Devonport peninsula. Kathryn Pollock is also a NZ registered Naturopath and has built up an extensive natural health product range not to be found in any other NZ pharmacy. Belmont Pharmacy promotes itself as the "The Natural Health Store in a Pharmacy Setting - combining the very best combination of pharmaceutical & naturopathic knowledge, focussing on the optimisation of their customers overall health. 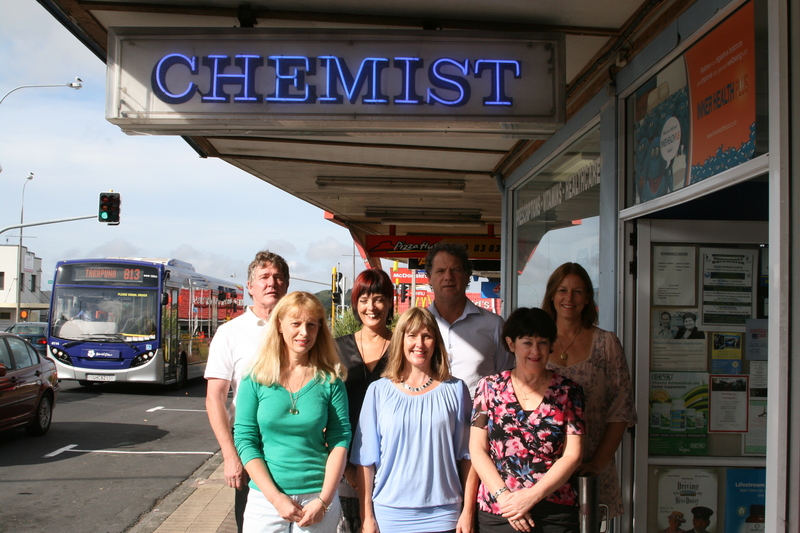 So for trusted pharmaceutical care, advice and insight make Devonport’s Belmont Pharmacy your first choice. Allan Pollock is an accredited New Zealand Pharmacy Council practitioner. It is this expertise combined with their informative yet approachable customer service ethic that has made their pharmacy the family preferred store for all health and beauty needs within the North Shore region. Kathryn's Naturopathic expertise is another beneficial tool in their pharmacy & top of the line customer service. Belmont Pharmacy's products and service on offer vary from dispensing prescriptions and the general sale of over the counter medicines, natural health remedies and naturopathic solutions. For more exceptional health solutions and stock, please visit us in store. So for assured remedies for you or your family’s health ailments, visit us in store today. We guarantee we can find an alternative to restore you back to your healthy self.